Wedding bands, engagement rings, his and her designs, she wears one he doesn’t, they wear matching designs – there are as many ways of wearing the ring as there are ideas about how it should be done. The main reason we wear wedding and engagement rings is as a symbol of love and to indicate that we are, for want of a better word, ‘taken’. Wedding rings hail back from ancient Egypt where they were originally made from grass but later from metal. And the circle symbolises eternity. 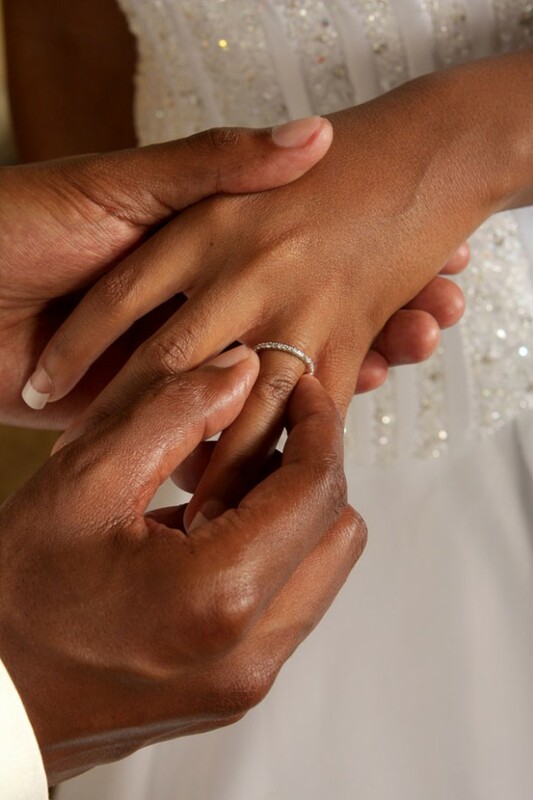 The ring is usually worn on the ring finger of either hand, dependent on the culture. For instance Eastern Orthodox tradition places the ring on the right ring finger whilst most other Western cultures grace the left hand’s ring finger with the status of marriage. But the engagement ring, way back on the banks of the Nile, was not even in existence, even though in the 1920s it became so popular that even men began wearing them (without the diamond, of course). But does a woman need to wear an engagement ring in order to be engaged? Does it need to have a diamond in order to qualify, and must one wear rings at all? In short – no, no and no. There is no legal requirement that insists on the exchange of rings, and religious ceremonies regard the ring as an option rather than a must have. In most Western cultures, a ring functions as an announcement that the woman wearing it is spoken for and will soon enter the sacred bonds of matrimony. But she doesn’t have to wear one in order to get married, and diamond rings were only for the very wealthy until after WWI. There are other little nuances around rings too. For instance some couples wear pre-engagement rings known as promise rings, and some brides permanently solder their wedding and engagement rings after marriage. And should you never remove your ring? The jury is out on this one. I for one take my ring off to sleep every single night, whilst my husband never removes his. Removing your ring will not suddenly invalidate the marriage, but it’s really up to you.